Don’t Get Back From Vacation; Bring The Vacation To Work With You! Going on a well-deserved vacation is something we all look forward to during the year. All the troubles of work can easily whisper away and all we are left with is relaxation and enjoyment. According to recent studies, 70% of US families plan on taking one or more vacations in the next year – but what are the results of that decision? Some people have it harder than most when it comes to easing back into the work routine. Vacations don’t last forever, but what can we do about it? Is it possible to grab a piece of the “vacation you” and come back to work more creative and energetic than before? We all act differently when we are relaxed. When we talk about the “vacation you”, we refer to the personality and character you adopt during your off days. It’s easy to think clearly when you are in a faraway place surrounded by friends and family with no work in sight. This is because we rarely “have to” do something while on vacation. Everything feels distant and easy to accomplish. Although the feeling is wonderful, it is also finite – vacations rarely last forever. Once we get back from vacation, things start to change fairly drastically. Even though vacations are meant for relaxation and rest, most people end up grumpy and nervous the first few days at work. This is because they haven’t really thought about work while on vacation. It’s interesting that 82% of US families prioritize domestic vacations over going abroad due to monetary and time restraints. It’s easy to distance ourselves from responsibilities and obligations until the moment comes to reconnect with reality. While some people do feel more energetic after a vacation, most are met with behind-schedule work, plenty of projects to tend to and a heap of mail to answer. But does it really have to be that way? Is it possible to go back to work and not hate yourself for doing so? Start your transition back to reality before you come back to work. Do this while you are still on vacation but don’t give into work before you go back home. Think about your work in a positive manner instead of looking at it as a necessary evil. While it is true that we all work for income and the ability to actually go on a vacation once in a while, don’t be negative about your employment. Sometimes it’s good to disconnect and delegate some of your work to quality writing services. This will allow you to clear much of your schedule once you go back to work. The time will come to take a new vacation or a few days off soon enough. The vacation you are on is not the last one you’ll have, so make sure to think of it in a positive light first and foremost. Don’t wait until the very last minute to think about your work. The fact that most people feel overwhelmed with work is the reason for their nervousness and anxiety. According to studies, 28% of people that left planning for the last minute also said that they felt nervous after their vacation. Start thinking about your obligations a day before you are supposed to go back to your office. Look at your inbox and talk to a colleague about all the things you have missed out while you were away. Make sure to catch up with as much information as possible so that you go to work prepared. Don’t allow anything to surprise you by not caring about work until it actually comes to you. Take the initiative and start planning for your return a day ahead of schedule. One of the easiest ways to lose your temper when going back to work is to let your work overwhelm you. It’s no secret that your absence has been noted by your coworkers and manager. Don’t let that fact get to you the very first day. You will receive a lot of work obligations as soon as you go back – it’s important to start segmenting them early on. Create a to-do list and start jotting down everything you need to do the first week. Putting everything on paper is a great way to have a clear understanding of what’s waiting for you without feeling lost or confused. Depending on how close you are with your coworkers, you should definitely talk about your vacation with them. Tell them about the place you visited and what you were up to with your family. Don’t be overly positive or praise the time you had while your co-workers worked without you. Be objective about your memories and try to confer your energy to your office staff without looking grandiose. Answer any questions they might have but keep your work obligations in check while doing so. Intersect vacation questions with office chat and you will be on a good way of understanding everything you have missed out on while you were absent. No matter how close you might be with your coworkers, memorabilia is always a good idea. Bring back finger food, photos, fridge magnets and simple trinkets that can fill your office space. This is a great way to bring back your vacation to work without corrupting the workflow. You will feel more relaxed and nostalgic while working on current projects if you have small souvenirs and photos for reference. 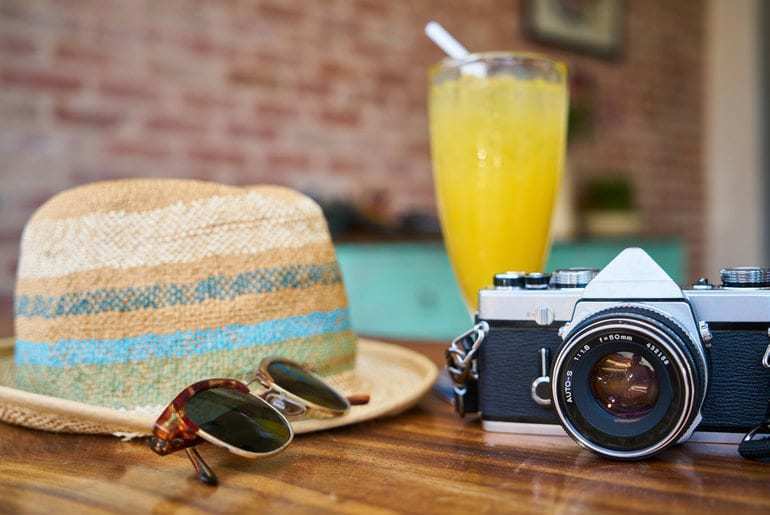 While you may not “miss” your vacation the first few days, chances are that your memorabilia will have a great effect on both you and your coworkers. Vacations are meant to give us a way out when work becomes too much to handle. Most people use summer months to get away and go someplace new, while others don’t have a particular preference. Whatever your case may be, think of your vacation as a temporary break from work – not a permanent escape. The perspective you adopt will play a huge role in how you perceive going back to work after an extended time away from everything. Do what you can to bring your vacation back with you but don’t expect to have such breaks often – full-time work takes precedent after all. Luisa Brenton is a brand developer in the past; mom, educational blogger in the present. She writes in a variety of venues – academic, lifestyle, and online marketing content. Find more on Facebook and Twitter. #Weekly Round-Up #206: Getting Away From It All, Pampered Pooches And You Should Have Taken That Job!